In the annals of Kansas history the name Hiram C. Bull has been remembered chiefly for the unusual manner of the man’s death – for being killed by his pet elk. Yet over 130 years after that event Hiram Bull is still revered in Osborne County for much more: for his leadership, his vision, and his generosity. And so it is appropriate that this most prominent of the original settlers of Osborne County was the first name considered and agreed upon for induction into the Osborne County Hall of Fame. The charismatic Bull was born August 19, 1820, in Laona, Chautauqua County, New York, one of eleven children of Thomas and Sally Bull. His father, Thomas, was one of the first settlers in Chautauqua County, arriving in 1808. Hiram received his academic education at Fredonia, New York. He read law in the office of a Mr. Mullet in Fredonia and in 1843 he was admitted to the New York bar. For two years he practiced law in Chautauqua County before opening a practice in 1845 at Johnstown, Pennsylvania. On September 16, 1845, Hiram married Mary Johnson at Laona. Mary passed away shortly afterwards and by year’s end Hiram had moved west to Wisconsin. Hiram settled in Milwaukee and practiced law there for four years. He then married Emma Chamberlain at Janesville, Wisconsin, but this marriage ended after four years with Emma’s death. In 1850 he was elected to the Wisconsin Legislature as a state representative. In 1852 he spent a year in California, then returned to Wisconsin and on May 9, 1853, he married Sarah Fifield, a member of one of Wisconsin’s most influential families, at Janesville, Wisconsin. The next year found the Bulls living first in Milwaukee and then in Madison, Wisconsin, where Bull opened a lumber business. By 1856 he operated lumberyards in Janesville, Madison, and Milwaukee. That fall he was elected state senator from Madison and Davis County and soon became a powerful voice in state affairs. During these years in Wisconsin Hiram was commissioned quartermaster general of Wisconsin, an appointment he held through three gubernatorial terms. He was one of the early officers and benefactors of the State Historical Society of Wisconsin and served as a delegate to the Second Wisconsin Constitutional Convention. In 1858 Hiram was a candidate for the Republican Party nomination for governor but lost the nomination by one vote to eventual Governor Alexander Randall. 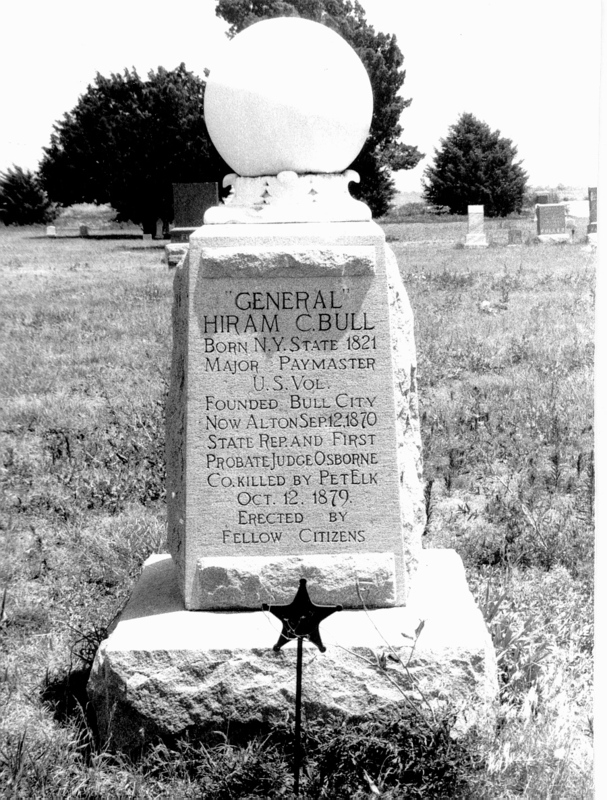 In 1859 the Bulls moved from Wisconsin to St. Louis, Missouri, and then on to New Mexico and Arizona Territories, where Hiram was appointed Adjutant General of the Army of the Southwest. He was on a trip to St. Louis when the Civil War broke out. Hastening home, he conferred with Sarah, resigned his commission, and in August 1861 he enlisted at Dubuque, Iowa, in Company C of the 9th Iowa Volunteer Infantry as a first lieutenant. In January 1862 he was promoted to captain, a position he held that March during the Battle of Pea Ridge [Arkansas], where a musket ball shattered his right hip as he led the charge of the 4th and 9th Iowa Regiments on the second day of the battle. Two months later he was promoted to the rank of major and given the job of Additional Paymaster for the United States Volunteers of the Union Army. In this capacity he served a year in Washington, D.C., before being transferred to Utah, Oregon, and California during the remainder of the war. He was discharged from service at San Francisco in August 1865. The mansion overlooking the Missouri River in Leavenworth, Kansas where Mr. and Mrs. Hiram Bull lived during their stay in that city. After a period of time in Massachusetts and Iowa the Bulls headed west once again, this time settling in Leavenworth, Kansas, where Hiram opened a lumberyard. Ever restless, he soon entertained the idea of founding a town in this new and growing state. After a search of likely sites across southern Kansas, he entered into discussions with Union Pacific railroad officials. They soon convinced him to seek a location along their proposed route into the Solomon River country of north-central Kansas. In the summer of 1870 Hiram stopped at Cawker City, Kansas, where he met Lyman T. Earl, a Michigan native also interested in starting a town. The two teamed up and headed west, following the course of the South Fork Solomon River. On September 12, 1870, they staked out the first townsite in Osborne County, Kansas. A coin toss determined for whom the new town would be named, and Bull City soon became the major distribution and supply center for the settlers throughout much of northwest Kansas. On November 29th the first log structure on the new townsite was begun, but a major snowstorm left it uncompleted until the following year and forced the Bulls to spend the winter in a tent. But in January the one-story building, twelve feet wide and twenty-four feet long, was finished. The log Bull General Store, in which was located the Bull City Post Office. The Bulls lived in this two-room cabin for nearly a decade. “It was a long, low shingled-roof building made of logs, one laid on top of the other, the cracks between being filled with chunks of wood plastered over with mud. It had two rooms, one for their living quarters, the other for a general store–the only one for many miles around. There were two doors: the south one for the residence; the other, the store entrance. As one walked in, the ‘post office’ was on the right. This consisted of a dry-goods box with pigeon holes for the mail. On the left were shelves with all kinds of dry goods, such as men’s overalls, shirts, red bandanna handkerchiefs, pins, needles and thread. Coarse linen thread was put in skeins about six or seven inches long . . . Everything was placed very neatly on the shelves, including the tobacco in the northeast corner. At the time there wasn’t even a counter.”–Nettie Korb Bryson (1942). In the back room there was a bed with oil and vinegar barrels and such things, and when the mail came in once every other day, it was dumped on the bed and sorted. When they set the stove up the pipe was too short to reach the chimney, so they put a box on the floor and set the stove on it. Mrs. Bull would stand on another box to do her cooking. Hiram was the first town postmaster and used his former military title to good effect in promoting his town. Mrs. Bull minded the store while the General (as he was universally known) hired drummers to haul goods from Russell, Kansas, to Bull City in freight wagon trains numbering fifteen to twenty wagons each, pulled by either horses or oxen, that could be heard coming for miles. “In the spring of 1871 the General and Lyman Earl had a well dug . . . The well was thirty-five feet deep, nicely walled up, with a neat wellhouse over it and a wheel and rope and two buckets, as there was no pumps here at that time, and a nice stone watering trough, three and one half feet square and four feet long, neatly dug out. Travelers and strangers often watered at this well and the General would go out hat in hand and invite them to settle and to trade with him.”–Nettie Korb Bryson (1935). 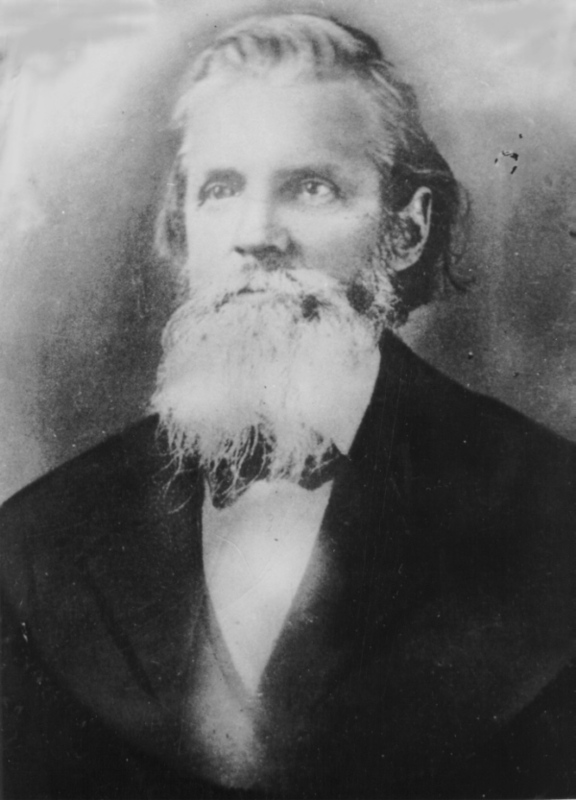 The General was the acknowledged leader in advocating the settlement of northwest Kansas. In 1872 he was elected Osborne County’s first probate judge. In the spring of 1875 Bull declined being appointed the head of the consulate at Honolulu, Hawaii. He did, however, accept the Republican Party nomination as Representative from Osborne County to the Kansas Legislature in 1876 and was duly elected to that position, serving the first of two terms as county representative. In 1879 he finished fourth in nominations for the Speaker of the Kansas House of Representatives. He was the heart and soul of Bull City and northwest Kansas and was as much beloved for his occasional outbursts of colorful language as he was for leading in the singing of “Marching through Georgia” whenever the opportunity presented itself. Bull was well known for his sense of humor. When talking with prospective settlers he would invariably point to his wife and ask them what other frontier town could boast of something so unusual as “a female Bull.” During a session of the state legislature, Bull let it be known that he would vote for a pending herd law “as long as the Bull is allowed to roam free.” In 1876 a circus came to Bull City and the General saw several children who gazed longingly at the big tent but could not afford tickets. Bull asked the ticket man to count the children as they went into the tent. Delightedly the children ran in, and after they were all in the General began walking away. “Here pay for these kids!” called the man. Bull turned and said, “I did not say I would pay for them, I said, ‘Count them as they go in.’” The General and the man argued the matter for some time before Bull paid the bill – as he intended to all along. In January of 1879 the Bulls adopted a four-year old girl, Lenora Elzora Mackey, after her natural father could no longer care for her, and renamed her Nora Lillian Bull. For her and the other children of the community the General had a few years earlier enclosed a park on the east edge of town in which he kept tamed wild animals – elk, buffalo, antelope, and others – inside a tall white picket fence. He did this as he wished them to remember how the land was before the white man had come to the area. The male elk was a special pet that Bull had raised by hand, and was a favorite of the children, who could handfeed him. The General built a large frame house that reflected the growing prosperity of the area, and then Bull City received the long-awaited news that a railroad would reach them by that December. The future seemed bright for both the town and its leader. Then came the morning of October 12, 1879. “At about half past eight or nine o’clock Sunday morning General Bull’s hired man, Robert Bricknell, entered the park for the purpose of caring for the elk. He immediately discovered that there was something unusual about the appearance of the animal [the male elk], which showed hostile signs, compelling him to retire from the park. Bricknell hastened to inform the General of the fact, and arming themselves with heavy clubs both went again to the park, the General remarking that he could subdue the animal. Without a sign of warning the now infuriated beast made a charge at the men, striking General Bull and knocking him down with great force. The elk then drew back and made a second attack on General Bull, this time with increased force, using his antlers with terrible effect, piercing the prostrate body of the General through the breast until the prong protruded, then tossing his form high into the air and throwing him over its head. The elk then resumed his attack on Bricknell, inflicting terrible injuries, whilst . . . George Nicholas, who had witnessed the occurrence, ran to the rescue with a heavy club of hard wood four and a half feet long and about two inches in diameter, with which he expected to so disable the enraged animal as to compel it to desist. With redoubled fury and madness, however, the elk caught the club in its antlers, making indentures in it and rolling it on the ground with great force. At this time there were two bodies lying prostrate, and with equal heroism and courage William Sherman hastened to the combat. The elk served Sherman the same as the other men, catching him in his immense antlers and throwing him over the fence. George Nicholas was tossed upon the fence. Mrs. Bull was meanwhile a horrified spectator of the terrible tragedy and wild with grief and terror ran to the village crying for help . . . .” — Osborne County Farmer, October 16, 1879. “Lew Korb kept his horse in our stable; he came in a hurry for his horse to go for the doctor. Dr. Martin lived in the little house upon the bluff one-half mile north of Bull City. I hurried down to the park as soon as I could. Others had got there ahead of me. They had lain the General outside of the fence and carried Nicholas and Bricknell to the house. I went over where the General was laid. They had him laid on a broad board and wanted another hand to help carry him to the house. They asked me to help, which I did. We carried him to the house and into the upper room, took off his clothes and saw his wounds, which were many. By this time the doctor had got there and was down in the basement caring for Nicholas and Bricknell. I went down and the doctor showed me their wounds. They were badly gored and both later died. A young man named Sherman, a carpenter . . . had an account book in his vest-pocket which likely saved him. There was a dent or cut in the book. He was quite badly bruised.” — Cassius P. Austin, then thirteen years old, from a notebook entitled Old Time Memories (1935). General Bull received forty-four wounds and was killed instantly. Robert Bricknell suffered thirty-two wounds, while George Nicholas had sixty-six. After great trouble the elk was caught and tied in the center of a stout rope cable between the house and a tree. He was later shot and killed. The death of Bull and the other men made national headlines as Harper’s Weekly and other major publications of the time dispatched reporters to the scene. The funeral services for the three men, the largest ever held in northwest Kansas, took place the following Wednesday. The three funeral wagons, drawn by black horses, were at the head of the funeral procession, followed by a multitude of Civil War veterans marching out of respect for the General. “The largest concourse of people it has ever been our lot to witness on a similar occasion, assembled to pay the last tribute of respect to the deceased, and all the places of business in the town were closed and draped in mourning. Owing to the extent of the throng the services were held in a large unfinished livery barn. It is estimated that upwards of two thousand persons were in attendance . . . Reverend Mr. Morrill of the Beloit Episcopal Church conducted the services. His discourse was preceded by brief eulogistic remarks from Reverends [Robert] Osborn and [Richard] Foster . . . When the procession moved toward the place of internment, about a mile northwest of the village, the foremost portion had reached its destination ere the rear had fallen in line.” — Osborne County Farmer, October 16, 1879. The new 1930 monument erected over Hiram Bull’s grave. When the Sumner Cemetery was platted the remains of the three men were reinterred there. Bull’s memory was held in such esteem by the citizens of Osborne County that fifty years later funds were raised and a granite monument was dedicated over his gravesite. At the same time it was discovered that a former citizen of the town, Thomas M. Walker, was in possession of the set of elk horns that had killed the three men, having come across them years before in a store in Muscotah, Kansas. He was contacted and in March 1930 the horns were shipped back to Osborne County, where they are on display in the Osborne County Courthouse. 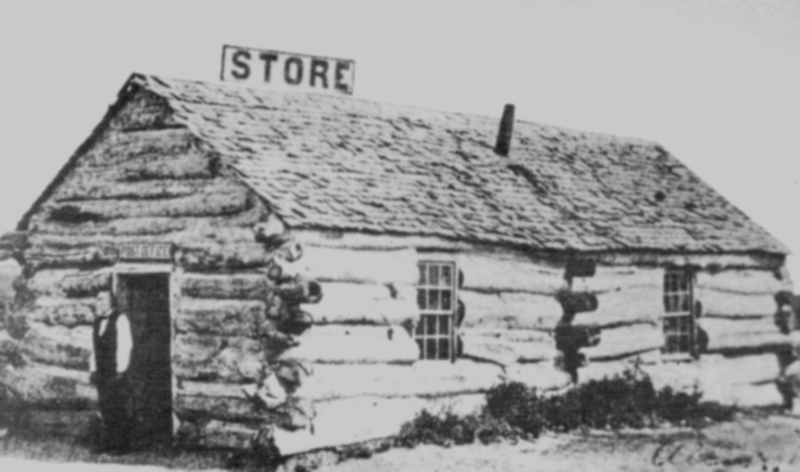 Sarah Bull ran the general store for a few more years before she and her daughter moved back to Janesville, Wisconsin, in 1883. She passed away there on June 6, 1912. In 1885 the town of Bull City changed its name to Alton. “After he [Bull] attained an age when men usually retire from business he came to Kansas, and after some changes finally went into the new county of Osborne, and established himself far up the [South] Solomon miles away from any settler . . . 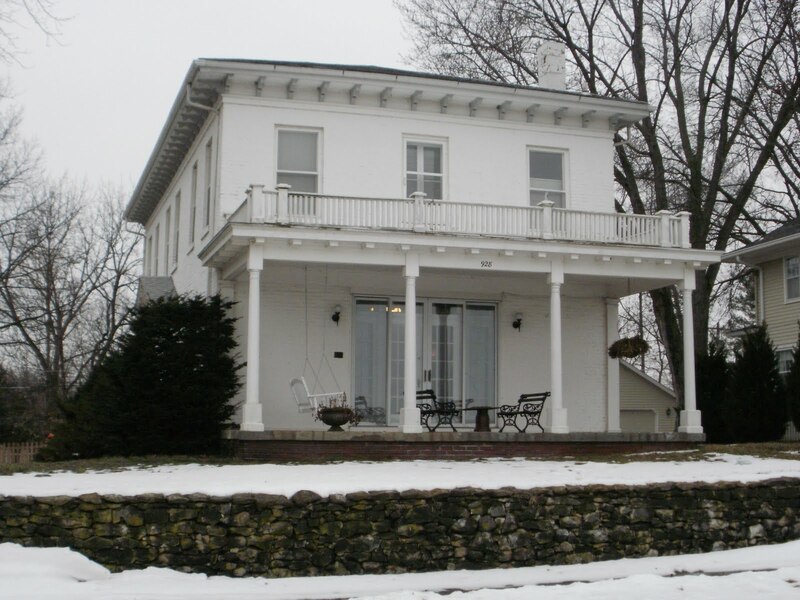 He keenly enjoyed his life, loved his kindly neighbors, and felt a boyish enthusiasm over the wonderful resources and prospects of Osborne County. One of the pleasantest recollections in this writer’s life is a ride on a beautiful morning in autumn from Osborne City to Bull City in the General’s company; he standing up in the vehicle, his white hair streaming in the wind and his face aglow with his theme, as he enlarged on the beauty of the country which he had seen transformed from a grassy wilderness . . . He was thoroughly identified with Kansas, and every Fourth of July he was accustomed to address his fellow citizens on the glories of this new country. It is needless to say that his death is a greater blow to Osborne County than that of many a younger and, possibly, abler man . . . His memory will long be preserved in northwestern Kansas by those who knew him as a public-spirited citizen and a brave, courteous, true-hearted old gentleman.” — Atchison [KS] Champion, October 1879. The Osborne County Hall of Fame Create a free website or blog at WordPress.com.